Nowadays, there is no doubt that LED Lighting Market has suffered a huge evolution among the last ten years, improving significantly its brightness performance and the durability of LED Bulbs up to 50.000 hours of function, allowing to become a more efficiently and cheaper solution, but in fact, the real evidence, is that LED Luminaries final durability is very far from these values. 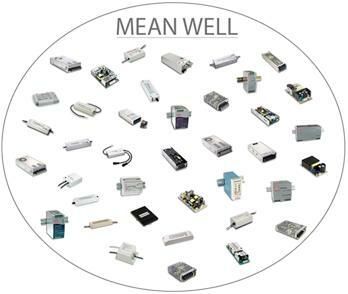 More than a half of LED Luminaries failures are related to LED drivers, therefore it can be determined that this device is a critical element in LED luminary´s design. On one hand, medium and high power range drivers have a critical component which determines the durability of LED Drivers, which is the electrolytic capacitor, given that there is no chance to substitute them at a low cost; drivers are conditioning their warranty to the two/three years of durability granted by capacitors manufacturers. The second problem that still rests to solve is selecting the point of work for each LED luminary. In any LED Driver´s manufacturer data sheets, it can be checked that EACH LED luminary design requires a specific point of work, in terms of current and voltage value, and as a result, all existing LED drivers face this requirement by an analogical solution, matching one LED luminary design with one specific driver design. In summary, as exposed by Mr Brodrick, the Solid-state Lighting portfolio manager for the U.S. Department of Energy there´s, a complete lack of standardization in LED dimming and LED drivers. Based on this previous overview, it´s clear that there´s still a huge improvement to develop over LED luminaries to get a better durability and reliability and obviously to manufacturer them at a lower cost. From Lightbee, the solution provided is called Sdriver, a new driver model that breaks with the designs and concepts of drivers currently offered in the market, consisting of a unique and standard hardware design and a digitally regulated work point by an intelligent control unit, whose characteristics can be adapted to the manufacturer requirements as follows. Unlike the conventional drivers, the dimming over LED Lamps with Sdriver is always performed on the optimal luminous efficiency point of the LED lamp, according to the manufacturer’s instructions, with the result of that the luminous efficiency is higher for the same point of dimming and the accuracy of required lumens much tighter.